KORRES Jasmine Body Milk has an exceptional moisturising, yet powdery texture that will leave a captivating aroma of newly opened jasmine buds on your skin. KORRES Jasmine Body Milk is rich in trace elements that "awaken" the epidermis with an energy boost to skin cells. The combination of provitamin B5, shea butter and jojoba oil enhances the suppleness of your skin, while also providing long-lasting hydration. Active Aloe®, extremely rich in vitamin C, vitamin E, Zinc and antioxidant enzymes, supports the immune system of your skin, leaving it perfectly protected and soft. Aqua (Water/Eau), Caprylic/Capric Triglyceride, Prunus Amygdalus Dulcis (Sweet Almond) Oil, Glycerin, Hydrogenated Polydecene, Glyceryl Stearate Citrate, Ammonium Acryloyldimethyltaurate/Vp Copolymer, Butyrospermum Parkii (Shea Butter), Decyl Cocoate, Aloe Barbadensis Leaf Juice, Althaea Officinalis Root Extract, Benzyl Benzoate, Caprylyl Glycol, Cinnamal, Distarch Phosphate, Eugenol, Glycine Soja (Soybean) Oil, Helichrysum Arenarium Flower Extract, Limonene, Magnesium Pca, Manganese Pca, Panthenol, Parfum (Fragrance), Phenoxyethanol, Rosmarinus Officinalis (Rosemary) Leaf Extract, Sodium Gluceptate, Sodium Pca, Zinc Pca. Lovely fragrance but not massively moisturising. It is good but not brilliant. Very good product if you like a strong scent of jasmine. This Korres Jasmine Body Milk has all the key ingredients you need for healthy skin, you get a good sized bottle for the money, it smells amazing. Perfect product. I really love this body lotion, and buy it again every time I run out. It makes my skin super soft for hours, and it feels really gentle. It is actually the only cream my boyfriend doesn't get an allergic reaction to! I love the smell, but think it is just a little too overpowering sometimes. Still not a big problem, so I recommend it to everyone. 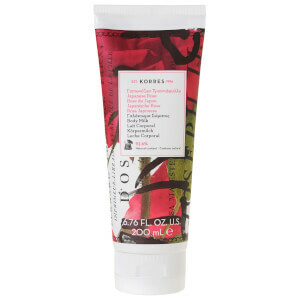 It is one of the best body lotions I have ever had. Perfect for summer! Light and a gentle fragrance of jasmine. It was perfect at moisturising too. 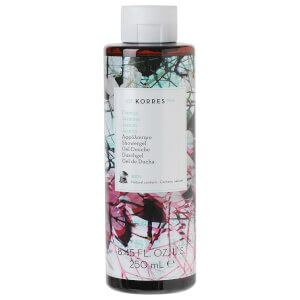 I am a fan of Korres products now!